Growing up, we had everything we needed. We had room to run, ponies to ride, kittens to pet and dogs and each other to play with. 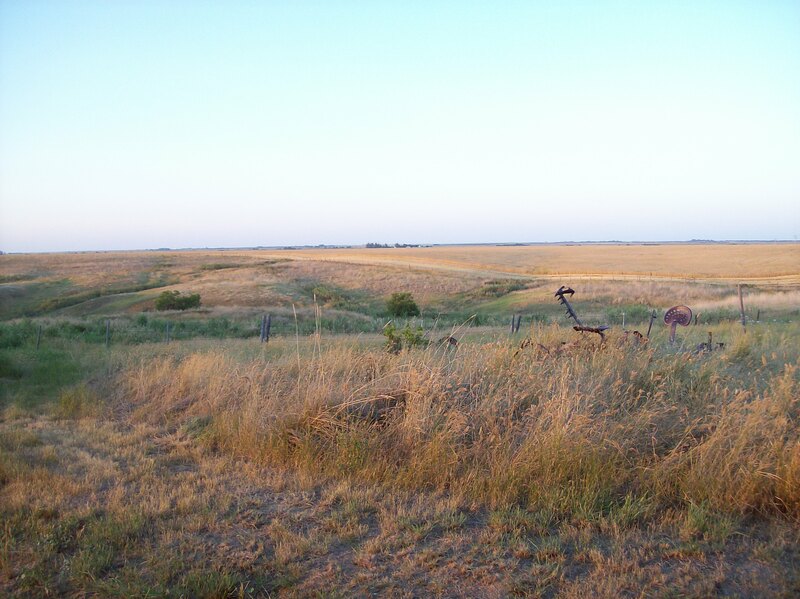 We had bales to build forts in, fossils to discover and miles and miles of land to roam and explore. My two sisters and I shared a bedroom; my middle sister and I even shared a bed, with oldest sister having her own. There were 2 tall dressers in that room and one teeny closet; we shared all three. I had an underwear and sock drawer and a shirt/pants drawer. Dresses and skirts hung in the closet. This looks a lot like our old dresser, except ours was yellow. 2 drawers! Now, I have a dresser that’s jammed full — and it’s filled with stuff I don’t wear. My closet is the same. And – to top it off — there are items hanging in there that I don’t even like! Many of us, including me, keep too much. Is it because we are fixated on what something cost? (even if we’ve never worn it). Is it because we didn’t have a lot growing up so getting rid of “stuff” causes us anxiety? Is it because we just don’t know where to start? I think back now on those 2 dresser drawers and wonder if I could live with that today. I don’t need to, but there’s a part of me that wants to. 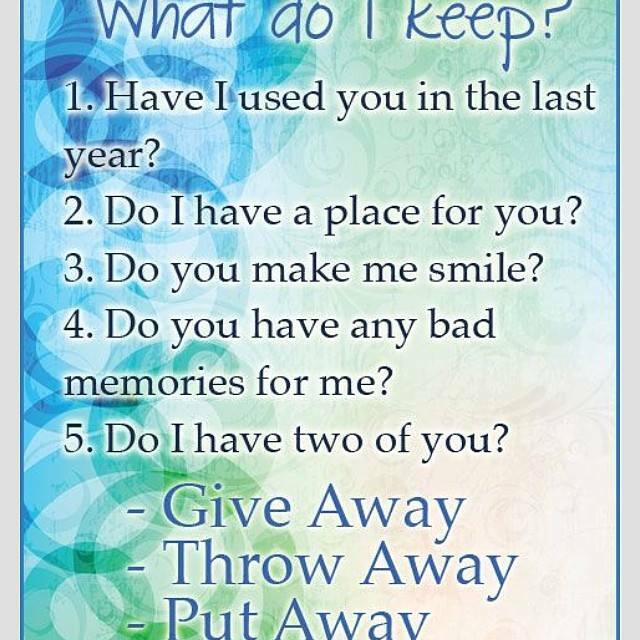 Because all that I have that I don’t use .. could be used, loved, and blessed by someone else. Are you able to let “stuff” go? What’s keeping you from starting? I used to hold on to things, but after my first time shipping out (I was gone from home for over 7 months), where I had my life in 2 duffle bags and a carry on, I came home and purged my closet of 75% of what was in there. These days I’m definitely behind in weeding things out only because I haven’t made it a priority lately. And it’s only fairly recently that I am physically up to the job. Our biggest issue in the house is my son’s toys. When he was younger, he literally couldn’t part with a single thing, even if he was way too old for it and didn’t use it. My husband dealt with the clutter by bagging up toys and dumping them in the garage. We have bags and bags of toys in the garage, and even more in my son’s tiny, cramped bedroom. Well, between healing my broken foot and torn tendon all last summer, fall, and into the winter, and the energy work I’ve been doing for myself, I’m finally moving into the space of being able to easily let go of things that don’t need to be in my life anymore (physically and mentally). I’ve already started by taking steps to have a few big trees near our house taken down- this is very long overdue. Would your son be interested in having a big garage sale and enjoying the profits of his toy sales? Or, if too much, could he help you sort & take them to Goodwill? We live in the sticks, so doing a garage sale isn’t the best option. I think if I just bag up stuff and make it disappear, that will work. If I have any questions about something, I can either make a command decision, or put it aside for my son to decide on. Good idea 🙂 and … garage sales are a lot of work anyways — you have to be physically and mentally up to strangers bickering over something priced at $0.25. Not probably worth it!! You are one lucky woman. I tried for five years to get rid of two punch bowls with cups and ladels. They were beautiful, but caterers and such have apparently gone to silver or other metal over glass. Keeps the overhead lower! They finally got picked up by an antique store just before the bridal season. Thank goodness! *Sigh*. I long for those moments that someone calls to offer me a treasure like that. Why? I live too far from home to bring much back, if it can’t fit on a plane, it’s not coming with me. All of my MIL’s things were quickly dispersed and then SOLD, I was never even asked if there might be something I’d like. so I find treasures at goodwill, like my pretty pickle platter (the one I know had to have come from an old lady’s estate sale). It makes me smile whenever I use it. In the past 2 years I have been brutal in letting go of possessions. I did some crafts and changed professionals. I had boxes and boxes from all of that. Out they went. I can only clean out for a few hours at a time before I get all smaltzy but if I keep it to that, I’m good with it. I love the “If it’s not beautiful (to you), positive or valuable, pass it along” rule. You had a nice taste of that when you were in the RV for a period of time 🙂 I’m going slowly but steadily!! Yes. Time to begin to let go. I’ve been at it for five years, and finally have come to the point where there’s just not that much more to get rid of. The china collection’s mostly under control, the housewares have been culled, the books sorted, and the “just stuff” long gone. I do have a chair in the front closet that may go. I’ve found that, if I’m unsure about letting something go, putting it in that closet is perfect. If, after a few months, I haven’t missed it — or have even forgotten about it — clearly, it’s time to let go! insulated coveralls, from the farm. Oh…I can still SQUEEZE into them, but apparently I’ve grown since then (taller….I swear). I wore them again last month while unloading a couplea semi truck loads of mulch while using our forklift. Goofy looking? Sure. Snug as a bug? You betcha!! Darn right you should keep ’em, RR! LOL….”squeeze” is the right word!! I feel that way about tv stations: growing up, we had 3 channels, and there always seemed to be something worthwhile to watch. Now we have hundreds of channels…and nothing to watch! I love my DVR — I record what I am interested in watching and skip the rest 🙂 Highly recommended. I have wondered the same things. We didn’t have a lot of anything growing up, so maybe I hoard things now for fear of not having enough. Last weekend, I looked at my bulging closet and dresser drawers, after deciding for the hundredth time that “I don’t have anything to wear.” Something took hold and I started yanking things out that hadn’t been used in too long. I filled three garbage bags to donate. Now I just need to use your encouragement to continue the pattern! I’ve begun to get rid of things, too. 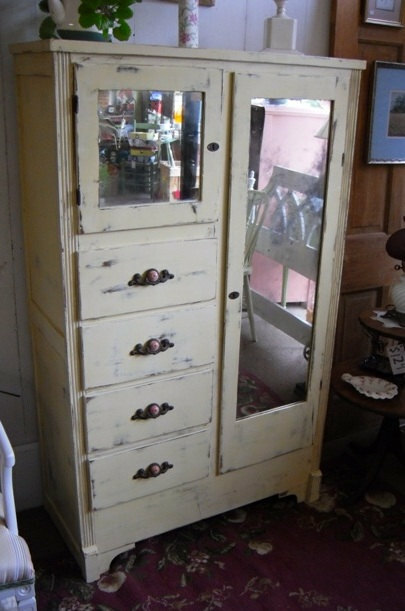 The dresser you pictured looks much like one I remember in my grandmother’s house, it was in my aunt’s room. She was the baby of the family, and it appeared they never touched anything in her room after she left home. aww … (your story of your aunt’s room). Now that I have seen that picture, I want that dresser back! There’s something charming about it.